The National Institutes of Health is seeking a chief data science strategist to manage vast data and digital efforts for the agency, Federal News Network reported Friday. Andrea Norris, chief information officer at NIH, announced the effort at the recent AFCEA Bethesda Health IT day in Bethesda, Md. James Gfrerer, President Trump’s nominee for assistant secretary of information and technology at the Department of Veterans Affairs, has received senate confirmation to fill the role, FCW reported Thursday. 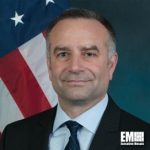 He holds years of cybersecurity experience, having previously contributed to Ernst and Young, the U.S. Marine Corps and various interagency programs. 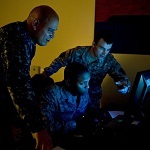 The U.S. Air Force is restructuring its information technology office to include new components that would assist the service's chief information officer in the area of intelligence, surveillance and reconnaissance, C4ISRNet reported Tuesday. 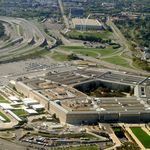 A new combined intelligence/IT office and a corresponding deputy CIO would take up duties divided from the primary CIO's responsibilities.